Balances the function of the sebaceous glands gently. 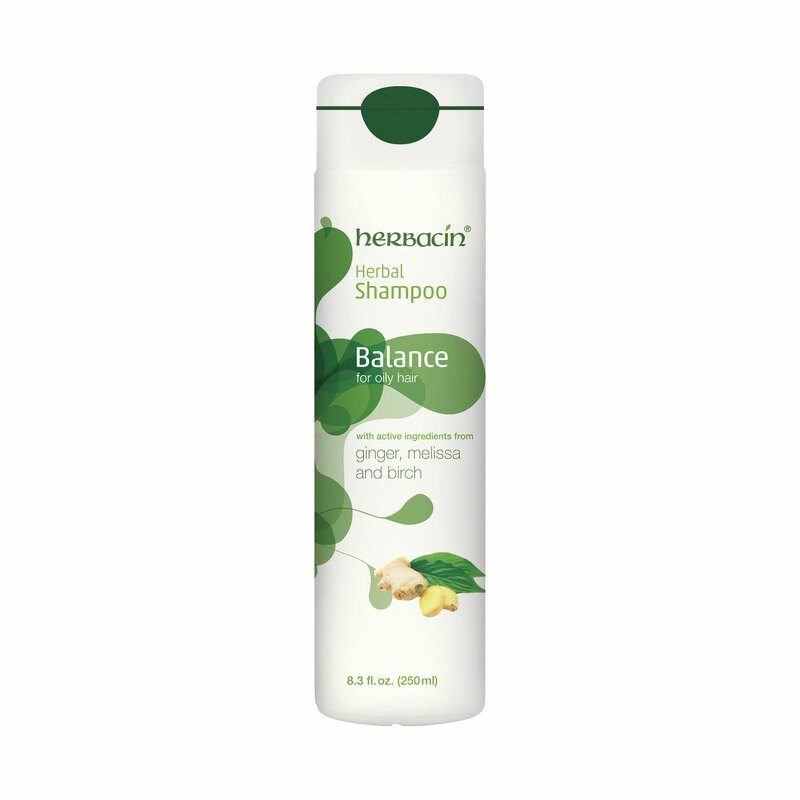 Herbacin Herbal Shampoo Balance for oily hair gets to the root of the problem – overproduction by the sebaceous glands. By balancing the function of these oilsecreting glands, this shampoo re-establishes a healthy pH balance of the scalp. The natural extracts of ginger, lemon balm and birch act as a soothing anti-bacterial agent without drying the scalp, while simultaneously preventing rapid “re-greasing”.